Concentrated acid formula works on a variety of surfaces to remove calcium deposits, limescale and rust stains. Leaves surfaces shining. Suitable for use on glass, porcelain, chrome and much more. 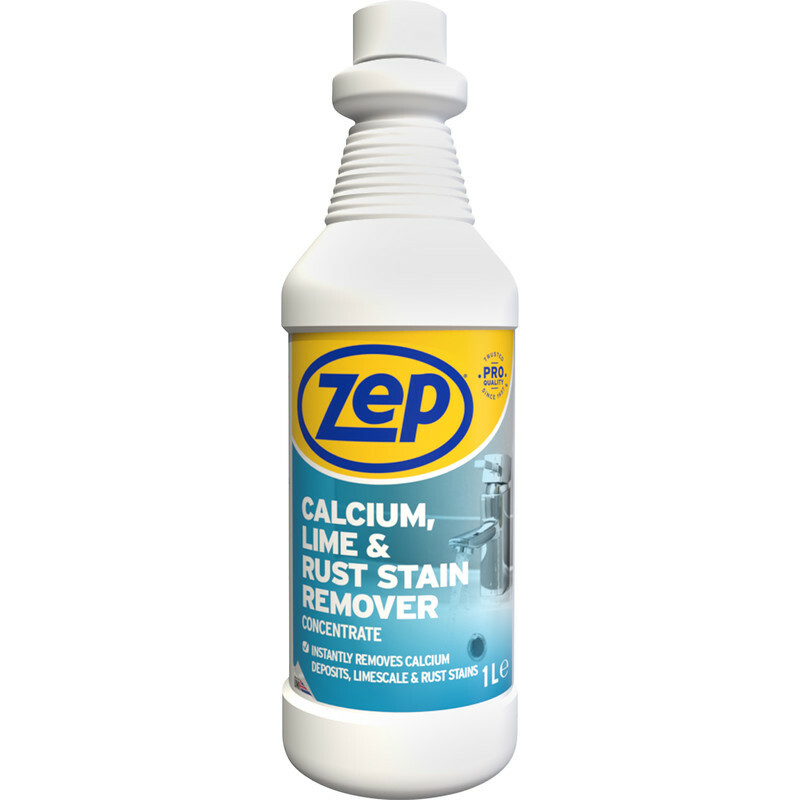 Zep Commercial Calcium, Lime & Rust Remover 1L is rated 5.0 out of 5 by 1. Rated 5 out of 5 by Engpin from Works a treat 50/50 solution brought up the sink like new and left a easy wipe film on it to keep it clean with towel also used in glass kettle and it cleaned the bottom element cover to new condition. Tomorrow I will tackle the shower door.